One Cool Tip .com: How to Change the Default File Explorer Folder View to "This PC"
How to Change the Default File Explorer Folder View to "This PC"
Windows 10 changed the default folder view for the File Explorer application. 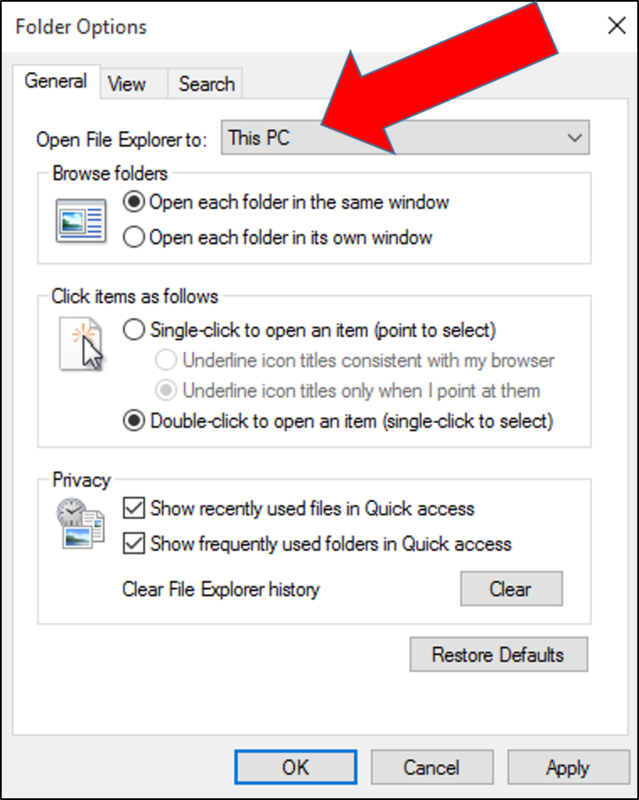 The default is now "Quick Access"
Most people prefer the "This PC" seen in previous Windows versions. Click “View” in the menu ribbon bar. Click “Options” (far right) to open the Folder Options dialog.